S&W is in so many ways a simple success story: Deliver quality, always. Founded in 1896 by three California grocery wholesalers - Samuel Sussman, Gustav Wormser and Samuel Wormser, S&W has grown from a simple idea to become a name known worldwide for quality and taste. 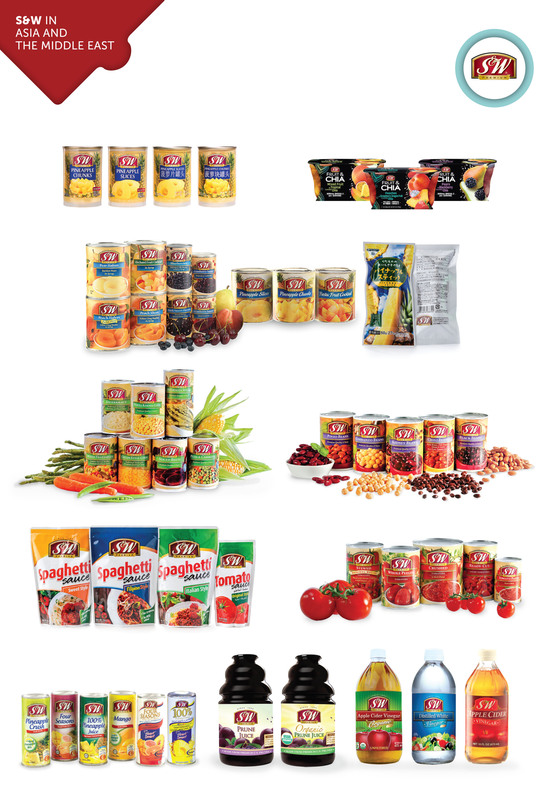 From packaged fruits, vegetables, tomatoes and beans to sauces, S&W has been a part of great meals for generations, bringing healthy and nutritious food to millions of homes. They used the finest vegetables, beans, and fruits and created the era of premium-canned foods- giving their customers and their families healthy, nutritious, and convenient food year round. And today, our founders' mission remains unchanged. For more information on our S&W products in the USA, please visit www.SWfinefoods.com. For more information on our S&W products outside the USA, please visit www.SWpremiumfood.com.